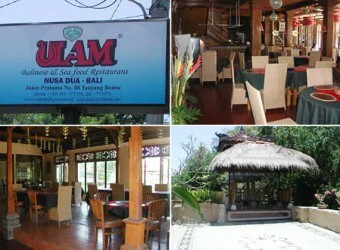 Bali Ulam Restaurant is located on the left, about 15meters from Nusa Dua south gate. You can enjoy Indonesian traditional food, especially seafood such as seafood basket with shrimp, squid, fish and others! The restaurant features a traditional Balinese gate entrance and the interior using a nice well-balanced color combination of red and green.